Each short essay is written by one of an international team of academic experts and offers a detailed analysis of the playwright’s key works and career. 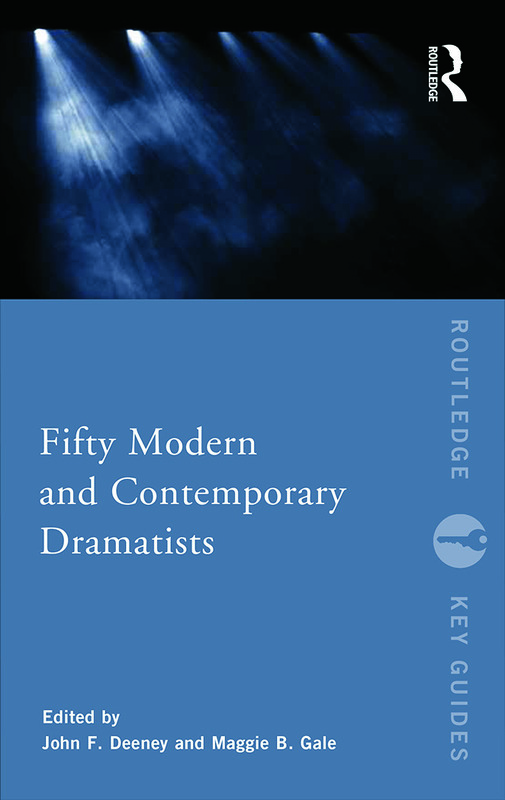 The introduction provides an historical and theatrical context to the volume, which provides an invaluable overview of modern and contemporary drama. John F. Deeney is Principal Lecturer in Contemporary Arts at Manchester Metropolitan University, UK. Among his numerous publications he is co-editor, with Maggie B. Gale, of The Routledge Drama Anthology and Sourcebook: From Modernism to Contemporary Performance. Maggie B. Gale is Professor and Chair of Drama at the University of Manchester, UK. She is co-editor of the Routledge Modern and Contemporary Dramatists series and co-editor, with John F. Deeney, of The Routledge Drama Anthology and Sourcebook: From Modernism to Contemporary Performance.